Human CB1 and CB2 stably transfect HEK 293 cells and cell membrane is purified. 0.2-8 μg of the purified membrane is incubated with 0.75 nM [3H] CP55,940 and Rimonabant in the incubation buffer (50 mM Tris-HCl, 5 mM MgCl2, 1 mM EDTA, 0.3%BSA, pH 7.4). The non-specific binding is defined in the presence of 1 μM of CP55,940. The reactions are incubated for one and a half hours at 30 °C in Multiscreen. The reactions are terminated by manifold filtration and washed four times with ice-cold wash buffer (50mM Tris, pH 7.4, 0.25% BSA).The radioactivity bound to the filters is measured by Topcount. The IC50 is determined as the concentration of Rimonabant required to inhibit 50% of the binding of [3H] CP55,940 and calculated by non-linear regression. Treatment with rimonabant in peripheral blood mononuclear cells (PBMC) did not induce significant changes of monocytes, B cells, total T cells or T cell subsets. Moreover, there was a small but significant increase in CD16+, CD3–, and/or CD56+ cells after rimonabant therapy. 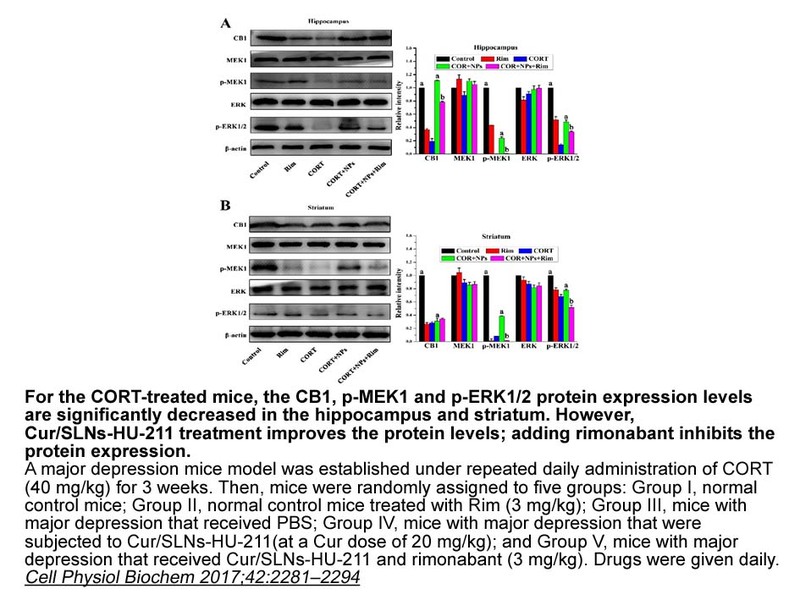 Additionally, Rimonabant reduced keratinocyte cell line (C5N cells) viability by induction of apoptosis. Rimonabant significantly reduced oedema and leukocyte infiltrate, and showed topical anti-inflammatory activity in mice. 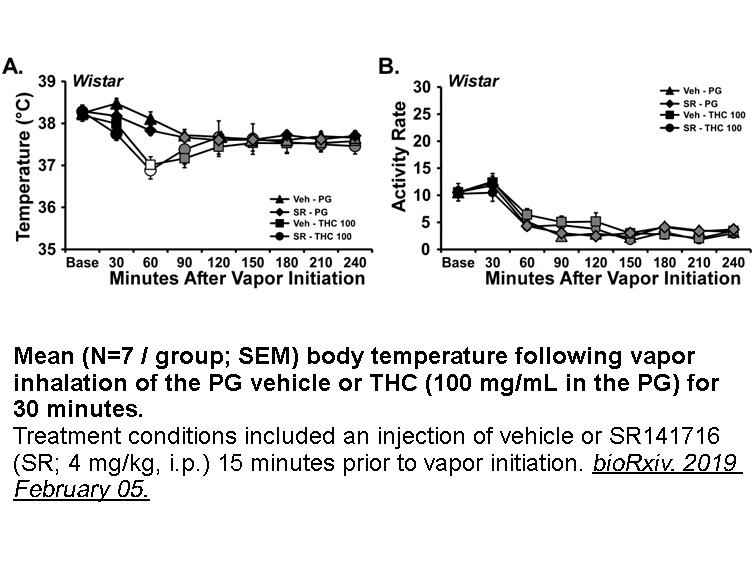 Rimonabant (SR141716) is a potent and selective antagonist of central cannabinoid (CB1) receptor with Ki values of 1.8nM and 514nM for CB1 and CB2, respectively . Rimonabant (SR141716) has shown a 285–fold CB1 selectivity (Ki=1.8nM CB1, 514nM CB2). 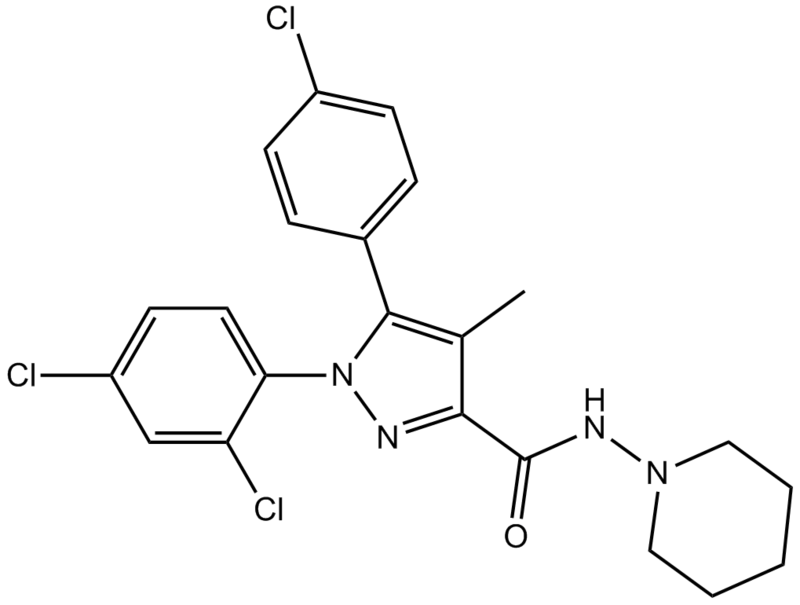 The affinity of Rimonabant for CB1-Rs is 50-fold higher than for CB2-Rs with a Ki value of 6.18nM for CB1-Rs . In addition, Rimonabant has been revealed to produce changes in ingestive behaviors when treatment alone. Moreover Rimonabant has been reported to selectively reduce the consumption of palatable food and drink. Rimonabant has also been noted to decrease sucrose intake in rat, alcohol consumption in mice and sweet diet intake in marmosets when having little effect on bland food consumption . Soudijn W1, van Wijngaarden I, Ijzerman AP. Structure-activity relationships of inverse agonists for G-protein-coupled receptors. Med Res Rev. 2005 Jul;25(4):398-426. 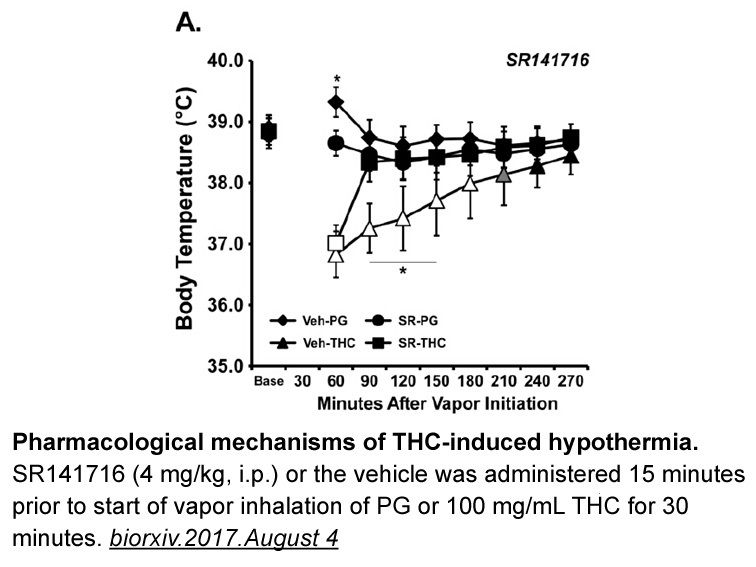 Ravinet Trillou C1, Arnone M, Delgorge C, Gonalons N, Keane P, Maffrand JP, Soubrie P. Anti-obesity effect of SR141716, a CB1 receptor antagonist, in diet-induced obese mice. Am J Physiol Regul Integr Comp Physiol. 2003 Feb;284(2):R345-53. Epub 2002 Oct 24.